I have Lightroom set to prompt me when I start Lightroom, but how do I change the catalog that’s automatically selected in the list? I need to wipe my computer – how do I back up and retain all of my Lightroom adjustments, preferences, presets etc.? Which versions will upgrade to 2.0? If I upgrade, can I go back to version 1? How do I upgrade my catalog from version 1 to version 2? Do I have to upgrade a catalog before I can import it into version 2 using Import from Catalog? How do I bring up the Import Photos dialog where I set the Import options? I just get an Open dialog? What’s the difference between ‘Add photos to catalog without moving’, ‘Copy’, ‘Move’, and ‘Copy as DNG’? I’ve chosen ‘Copy’ or ‘Move’ – how do I organize the photos into a folder structure that will suit me? I shot Raw+JPEG in camera – why have the JPEGs not imported? Is there a limit to the number of photos that can be imported in a single import? Can I import CMYK files into Lightroom? Lightroom is changing the colors of my photos… what could be happening? What is the difference between the solid white arrows and the opaque ones in Folders panel, Collections panel and Keyword List panel? How do I use the new Dual Display setup? How can I make use of Dual Displays if I work on a single screen? How do the folders in Lightroom’s Folder panels relate to the folders on my hard drive? What’s this new Volume Browser? I need to move some or all of my photos to a new hard drive – how can I do so without confusing Lightroom? Is there a way of seeing the photos and their duplicates so that I can sort through them? How do I go quickly from having a number of photos selected, to having just one of those photos selected? Is there a quick way of selecting all photos with a specific flag, color label or rating? I’ve got multiple photos selected – why is my action only applying to a single photo? Can I have more than 5 digit sequence numbers? It’s taking forever to delete photos – should it really take this long? My photos have imported incorrectly rotated and distorted – how do I fix it? What does the plus symbol to the right of the keyword mean? What do the minus symbol, check mark, and box to the left of the keyword arrow mean? What is the small arrow after the selected keyword? I mistyped a keyword and now Lightroom keeps suggesting it – how can I clear the autofill? I renamed my photos within Lightroom – is it possible to see the original filename without renaming it? Can I rename my virtual copies? I’ve moved raw photos and their resulting JPEGs into the same folder, and I’d like to Auto-Stack just like they would if they imported as Raw+JPEG together. Is it possible? Can I delete the filter preset I created accidentally? Can I have a hierarchy of collections? What will happen to my existing hierarchical collections when I upgrade my catalog from version 1? Can I see a Before / After view side-by-side? Can I see RGB values as I hover over the photo? How do I reset multiple photos back to default settings? The Reset in Develop only works on one photo? Why isn’t Lightroom’s Develop module sharpening very strong? Is it possible to use plug-ins such as Noise Ninja or Neat Image to reduce noise? What can the TAT tool be used for? How do I work the Red-Eye Reduction tool? Lightroom’s Red Eye Reduction tool can’t lock on to the red eye – is there anything I can do to help it? How are the Local Adjustments different from Lightroom’s other controls? What effects are available in the Local Adjustments? What does the Amount slider do? How are the buttons different from the sliders? How do I reselect an existing mask? How do I add to an existing brushed mask? How do I erase from an existing brushed mask? Can I fade the effect of an existing mask? I’ve somehow removed the toolbar with the Crop/Red Eye Reduction/Spot Removal tools from the Develop module and can’t find a way to get them back where they should be. Help? My Canon raw files exhibit an odd shift particularly in the red tones – can I fix this? What do the new profiles do? Where do I download the profiles? How do I install the profiles? How do I use the profiles? What’s the purpose of the DNG Profile Editor? Why is this DNG Profile Editor better than the Calibration sliders? What does the DNG Profile Editor look like? I have old calibration settings in ACR which I’d like to use in Lightroom. How do I import them? Does that mean it’s possible to share settings between computers using XMP? Lightroom throws an error saying it can’t write to XMP – how do I fix it? What do the new options in the Edit in… menu do? Why can’t I access the new options in the Edit in… menu? I am a high volume photographer (weddings etc.) – do I HAVE to convert to PSD or TIFF for light retouching, or can I use JPEG? Which Export Sharpening setting applies more sharpening – screen, matte or glossy? What Export Plug-ins are currently available? Why does Lightroom move my Edit in… photo to the end of the sort order? 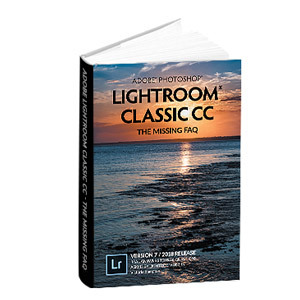 Lightroom can’t find Photoshop to use Edit in Photoshop – how do I fix it? It gives an error message – “Some export operations were not performed. File does not exist.” What went wrong? Everything appears to be running correctly, then the screen just goes plain grey or black when I try to running the slideshow. How is Picture Package different from Contact Sheet/Grid? Can I use Picture Package to design albums and books? How do I put the filenames and a copyright watermark on my photos? With 1 photo on a sheet, I can place the ID plate anywhere on the photo. Is that possible for multiple photos? I have the Rulers and Grid checked in the Rulers, Grid & Guides panel – why can’t I see them? The default flash gallery appears to be capped at 500 photos, but I need to include more – how can I change the default? How can I save certain settings to a default gallery template, such as identity plates and color settings? Is there any way to make Lightroom render thumbnails quicker when I’m scrolling through Grid view? The previews file is huge – can I delete it? The preview in Library module is slightly different from the preview in Develop module – why is that? I installed Lightroom, but it says “An error occurred while attempting to change modules”. How do I fix it? There’s a question mark in the corner of my thumbnail cell, and when I try to open the photo in Develop module it says “The file cannot be opened”. Why not? It says “There was an error working with the photo” or an exclamation mark in the corner of the thumbnail and a small fuzzy preview. What’s wrong? When I use the Browse dialog to locate a folder, the Windows Live Login dialog pops up. 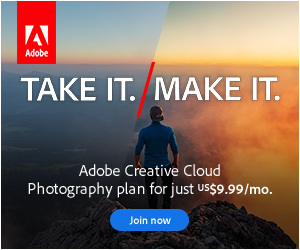 If I don’t log in, Lightroom stops responding and I have to restart. How can I stop this? I’ve renamed the files outside of Lightroom and now Lightroom thinks they’re missing. I’ve lost all of my changes! Is it possible to recover them? I renamed my photos inside of Lightroom, but I’ve accidentally deleted those renamed files from the hard drive. I do have copies of the files on DVD, but they have the original filenames, so Lightroom won’t recognize them. Is it possible re-link them? Leopard Finder crashes when I try to view previews of photos which have Develop settings embedded. How do I fix it? I’ve heard Lightroom 2.0 is now 64-bit. How is that beneficial?